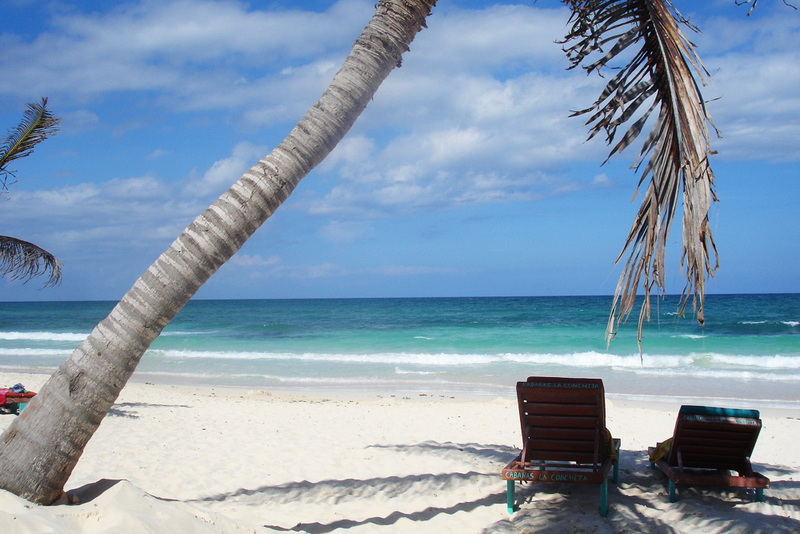 The Mayan Riviera is the kind of place where you could totally just pick out a chair and sit in it on the beach for like a week straight without moving. And actually now that I mention it, that sounds awesome. 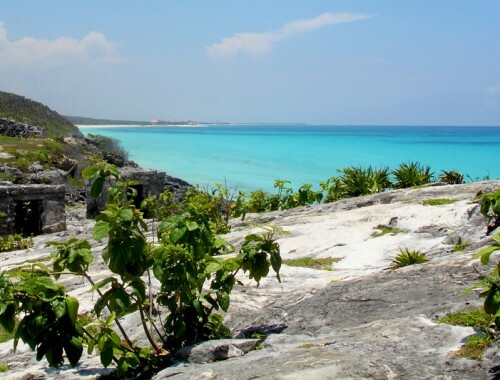 But there’s way more to the Riviera Maya than just sitting – it’s got unique nature both above and underground, amazing food, and mysterious history. So you can totally sit in that chair, but only sit in it for a little bit and then go check out all the other stuff. 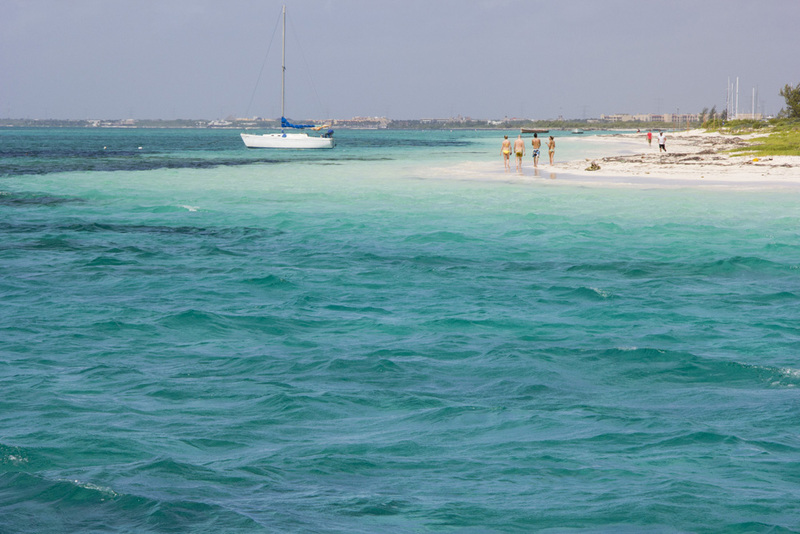 Here are my six favorite things to do in the Riviera Maya. They are easy to do on a quick weekend or on a long trip, and they all truly capture the essence of why this region of Mexico is so special. Here’s where that trusty chair comes in handy. I mean, come on. No explanation is needed. The beaches are amazing. Oh, and do this with a Pacifico in hand – not a Corona – a Pacifico. 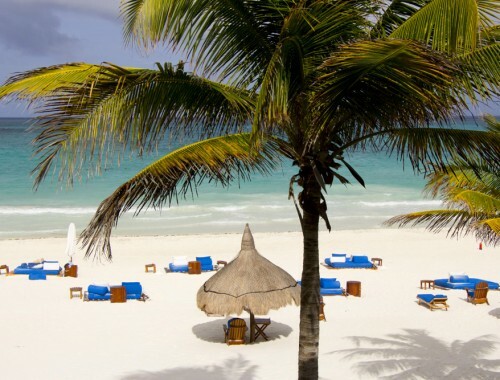 And in my personal opinion, Tulum wins with the best beaches over Playa del Carmen and Puerto Morelos. 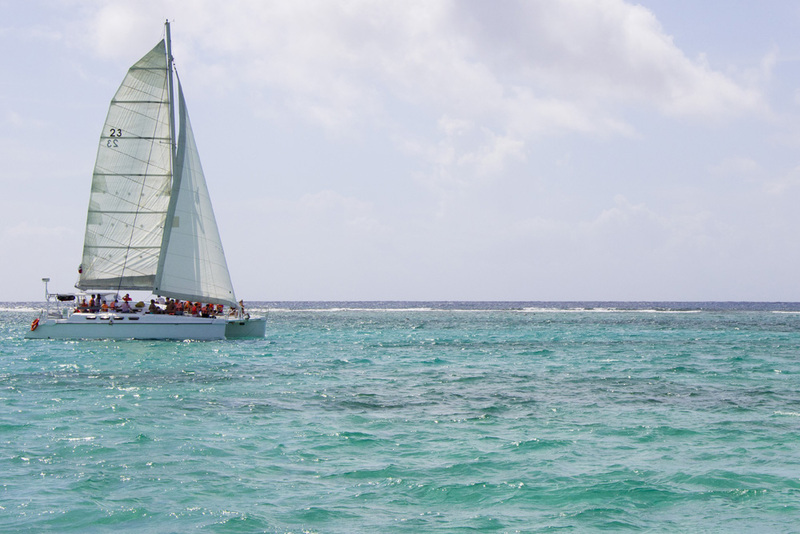 #2 – Snorkel. In a Cenote. 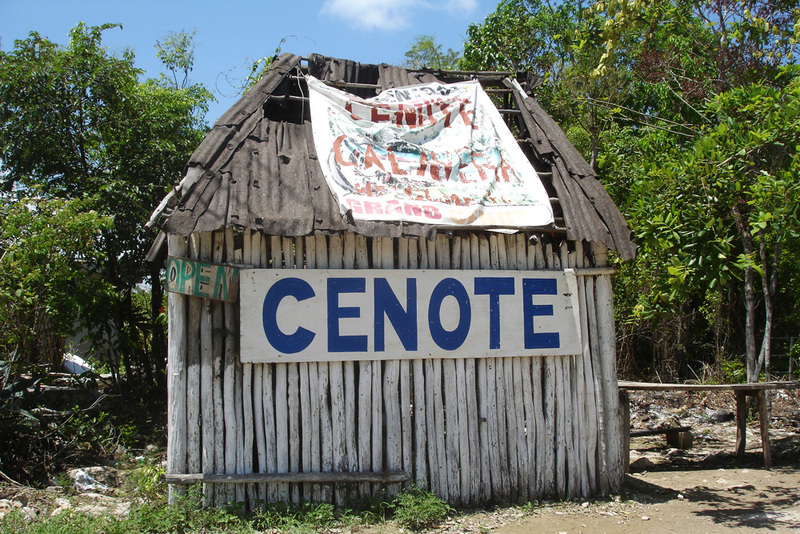 Cenotes (see-no-tayz) are one of the Riviera Maya’s most unique feature. A cenote is a natural sinkhole where the ground level limestone has collapsed inward to expose a lake of fresh cool ground water below. 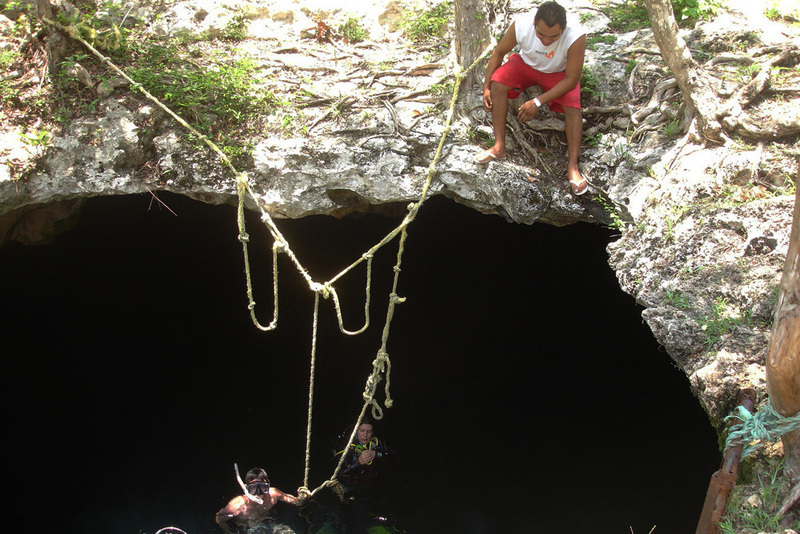 Some cenotes have marine life, tunnels, or craggy underwater corners worth exploring with snorkel or dive gear. Or, you may just wanna wade around in some cool fresh water for a while like I did..
Eat so much Mexican food that your belly hurts cause it’s so full of Mexican food. 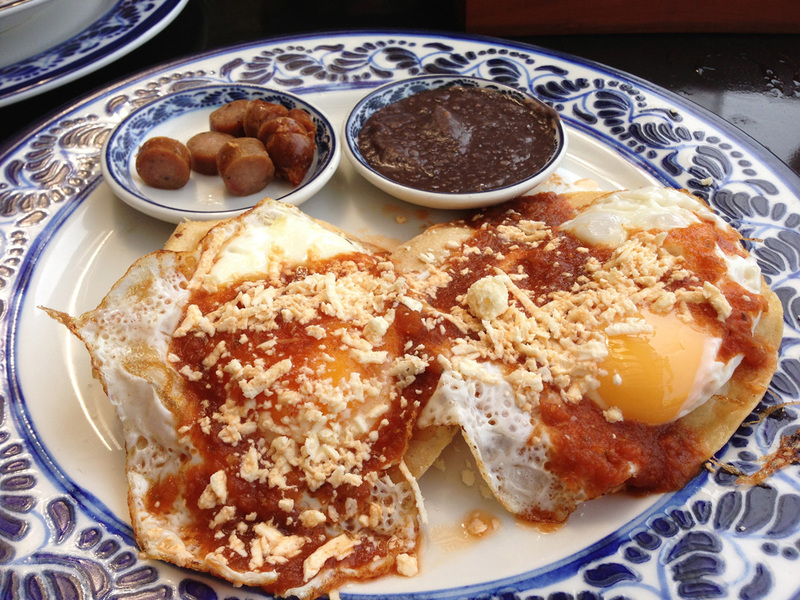 I highly recommend Zamas in Tulum – their enchiladas are delicious. 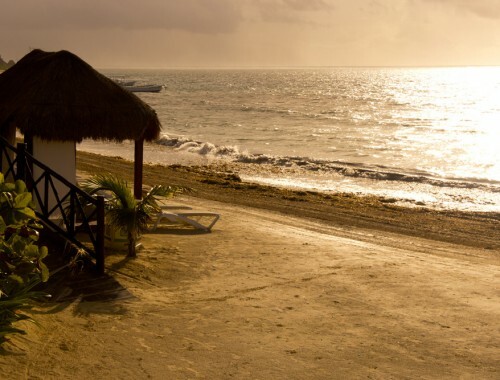 Or one of the beachfront cafes in the town of Puerto Morelos. Great views and yummy tacos. Ok, this one is new to me and was only enjoyed on my most recent trip to the Riviera Maya. Since discovering that spas are actually awesome instead of not awesome, I’ve been indulging myself a little: I treat my body with scrubs and potions and my mind with some quiet meditation. 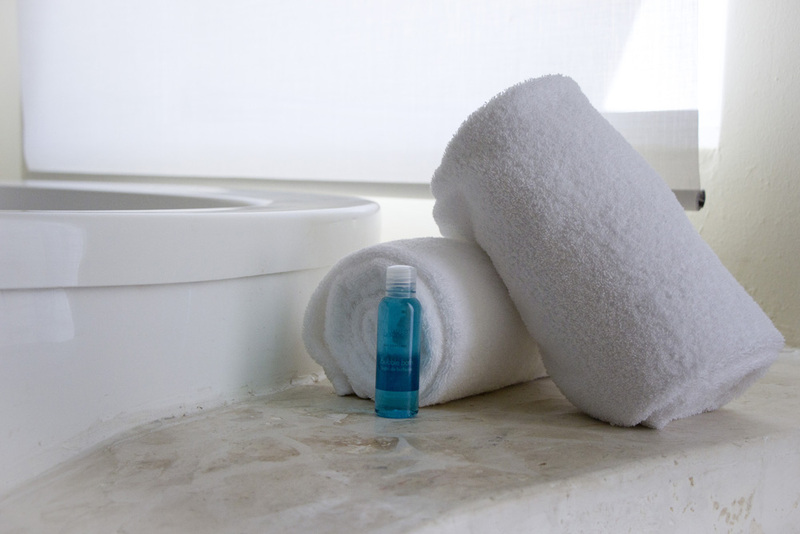 Or a spa treatment in one of the riviera’s spas, like so. 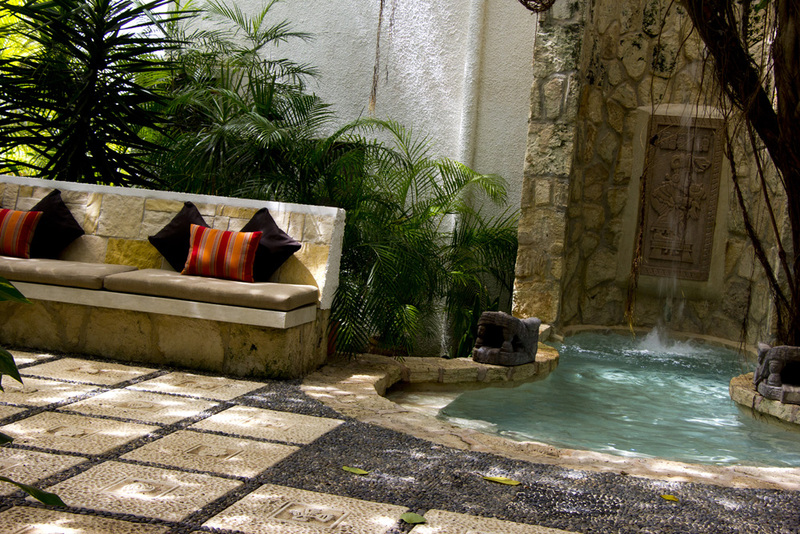 The luxurious Kinan Spa at the Maroma Hotel is my absolute favorite. 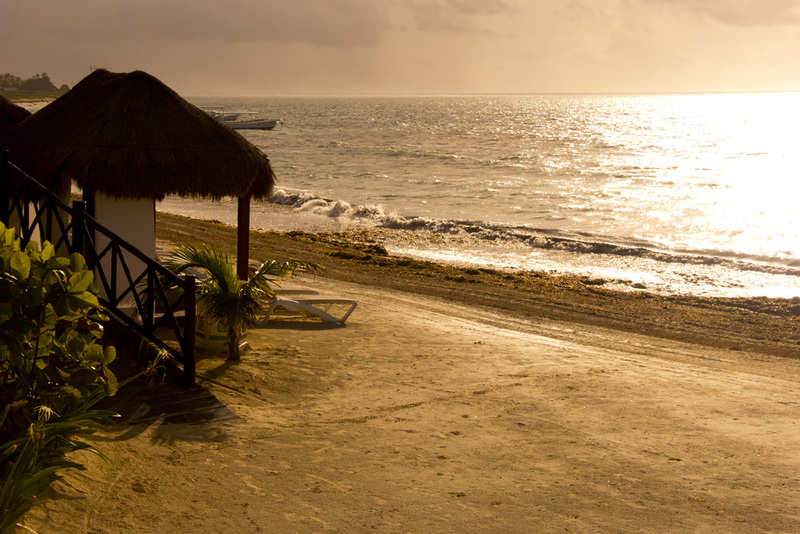 The authentic decor and dedication to Mayan traditions makes it feel a million miles away from everything else. They even have a Temescal on the beach (a traditional sweat house). #5 Snorkel. In the ocean. 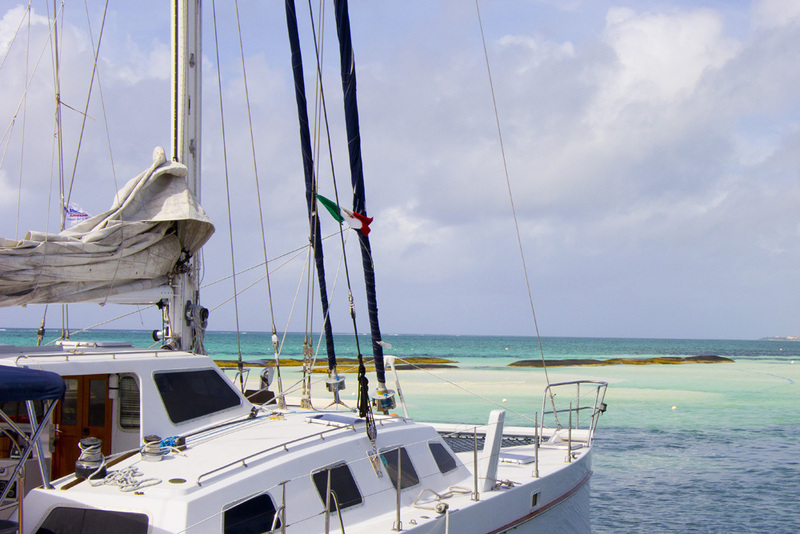 Many of the reefs around here are busy and over-touristed but there are some spots that are still beautiful and full of marine life. 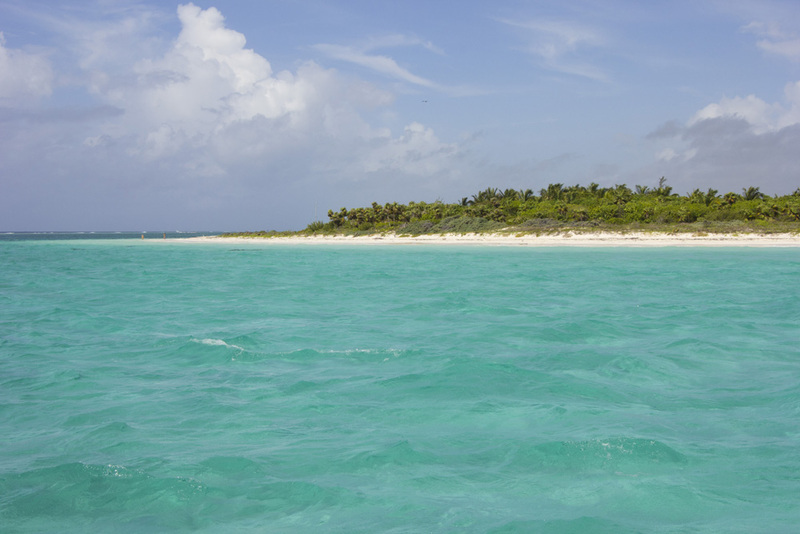 I’m not a diver so I’m not a great source for dive info, but I do know that the snorkeling at the Maroma reef and over on Isla Mujeres is still really nice and worth the time. 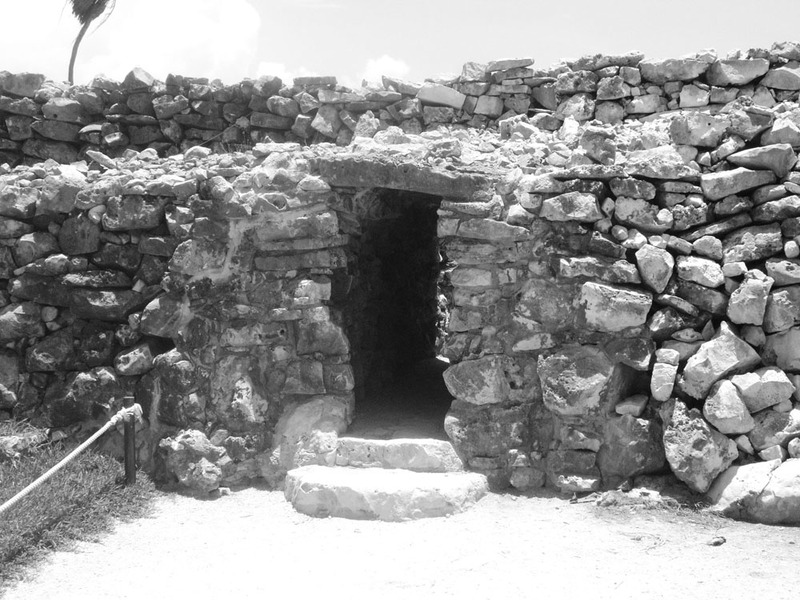 #6 – Check out some Mayan Ruins. Chichen Itza may be the Yucatan’s most famous ruin/icon/wonder-of-the-world, but there are a few other ruins to see here as well that aren’t quite as far away. Coba’s tall pyramids amidst the tropical forest are only about 100 kilometers from Playa del Carmen and are still being excavated (which means they are finding new things every day). 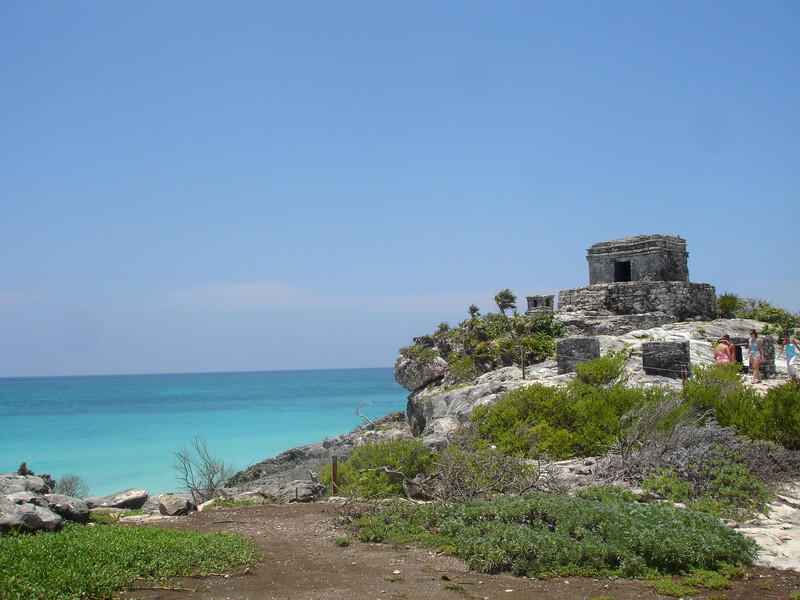 Tulum’s spectacular ruins on the beach are the easiest to access and also has some of the whitest sand on the whole beachy strip from Cancun to Sian-Ka’an. Double win. 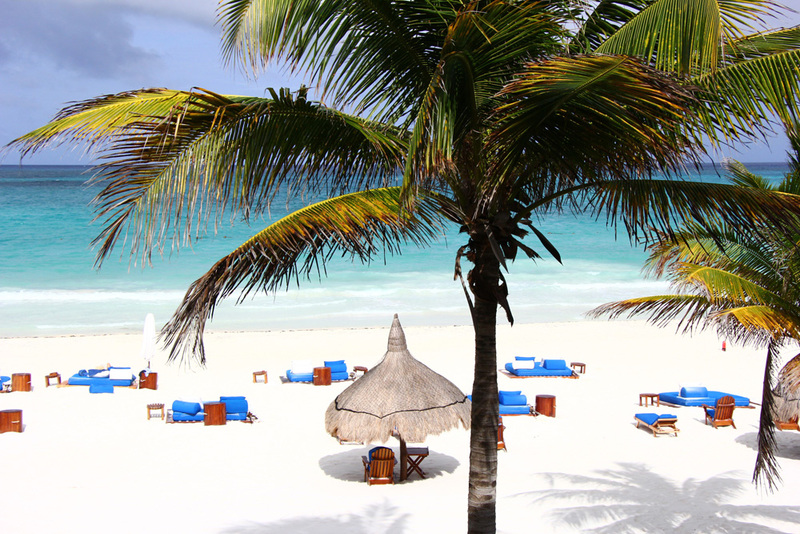 What are your favorite things to do on the Riviera Maya? I looove this part of the world! Yep, that pretty much sums up my list too! We thought the ruins were great and loved going into Playa del Carmen for food. I might add going to Mayan village as another good experience. ooh interesting idea! i should have done that.